Disclaimer: the links below are Amazon affiliate links where if you purchase an item through the link I *may* get a tiny commission. Any money I receive is put right back into paying the fees to run this website! Your support is appreciated. It can be hard to keep finding new books that your kids will enjoy reading, especially over the summer when schedules are off, routines go out the window, and (if they're like my kids) they're going through books like crazy. I decided to get my kids involved in this post by asking them what books they're really enjoying right now as suggestions for other kids to read. We'd love for you to share your recommendations in the comments as well! Miss M is "almost six" and learned to read this past year in grade primary. This summer we've been keeping her in the practice of reading at least one early reader by herself each day, and we also read aloud some early chapter books together. I asked her to share her top four favourite books, so far this summer, that she can read on her own. She has loved Fancy Nancy for a couple years and it's fun for her to read the books on her own. 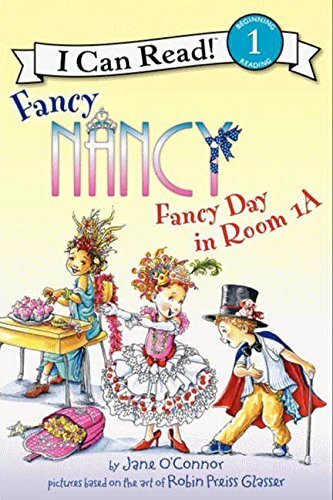 I love Fancy Nancy for the great vocabulary building words and the fun story lines. This is a cute one about the kids trying to liven things up in their classroom during a rainy stretch of weather (spoiler alert: there are fancy clothes involved). 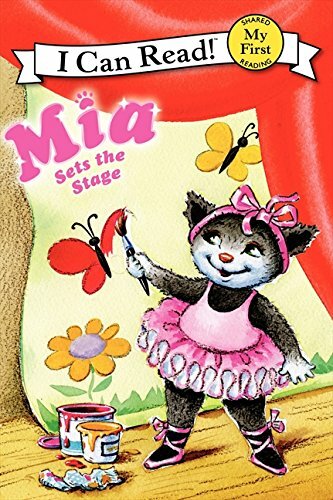 She's also been reading several of these Mia books about a little dancing cat. There's always a good lesson in there, and cute animals in tutus. How could you go wrong? She's been on a non-fiction kick these days as well and reading about all types of animals and sea creatures. 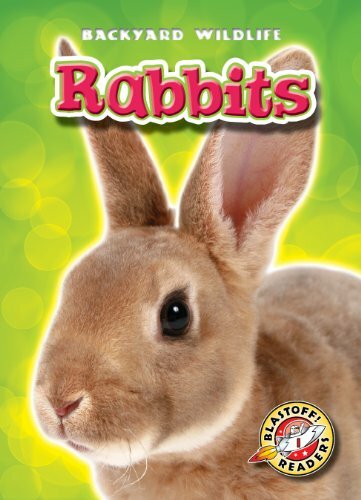 These two, Rabbits and Flutter Butterfly, have been the ones she enjoyed the most and reads over and over. She did a unit on butterflies at school this year (including raising real caterpillars into coccons and then into butterflies) so she loves anything about the scientific process of butterflies. The chapter books that ranked in her top two picks are below (we ended up with a bit of a dance theme lately it seems!). 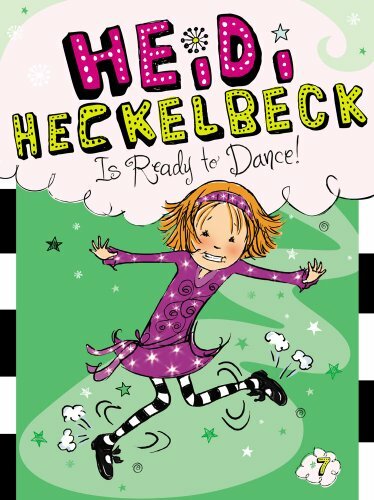 We have really been loving the Heidi Heckelbeck series for the last few months. She's a little witch in grade two with a great cast of characters. Each story sees her facing a challenge, trying to take a shortcut with her magic, and the funny results that follow. This book is about Heidi trying to find a special talent for the talent show, and feeling like she doesn't quite measure up to her friends. The Ivy + Bean is a close second favourite. These two girls are very different, but very much the same and get into the kind of mischief that my rule-following Miss M likely never would, but delights in reading about. 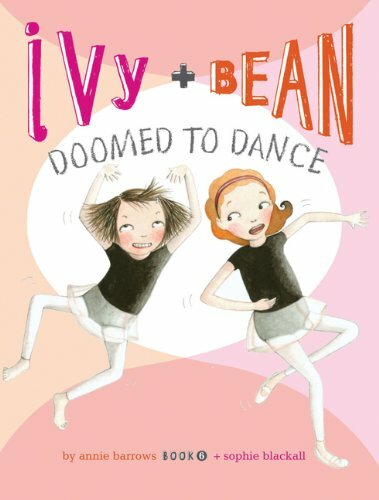 This book is about the girls seeing a book with some extreme ballet moves and signing up for ballet class (a very un-Ivy + Bean type of activity), and then realizing ballet is not as easy as they thought...and how they conspire to get out of the class. Mr. M is "almost four" and loves being read to (and we're loving that Miss M can now read some books to him. There is NOTHING cuter than a five year old reading to a three year old). I asked him to choose his top four books. 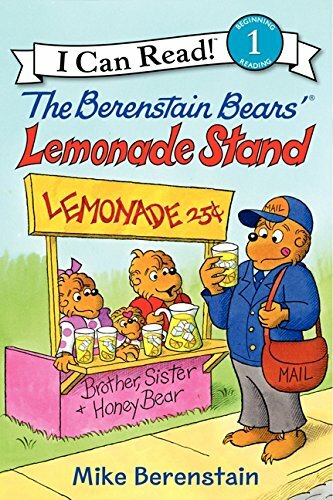 We have a few Berenstain Bears ones on the go right now but he's really loving the Lemonade Stand book (and lemonade itself) this summer. Bonus is it's one Miss M can read to him too. The cubs set up a lemonade stand which eventually turns into a block party (my take on it is that they're selling hard lemonade....). The Gruffalo by Julia Donaldson is always fantastic and is heavy rotation these days. 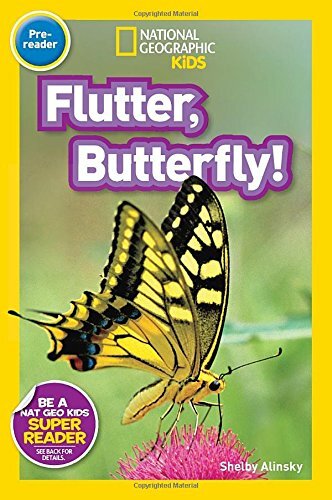 Her rhyming text is fun for us to read as the parents, and the kids love the stories and illustrations. 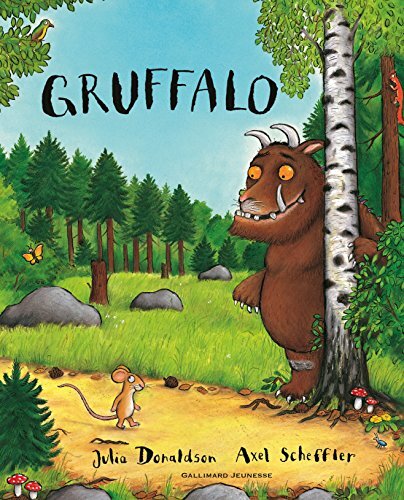 The Gruffalo is a classic and perfectly scary/not-scary for little kids and a sweet story about how smarts can be more valuable than size and strength. On that same scary/not-scary vein is Robert Munsch's The Dark. 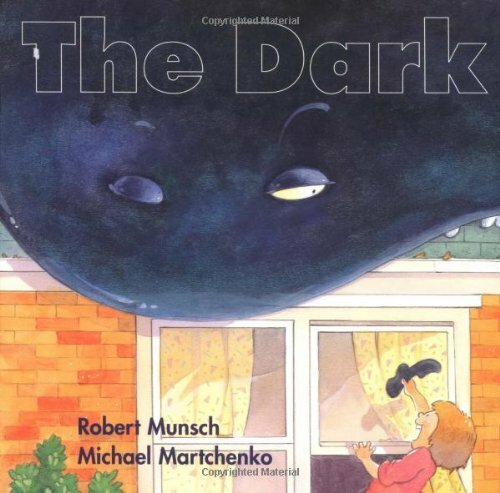 I hadn't read it before but it's classic Munsch fun with a shadow that eats up other shadows until everything is dark and how the girl (Jule Ann...same name as the Mud Puddle girl!) must figure out how to catch The Dark so they can have light again. Finally Food Trucks is a big hit with my truck loving guy. 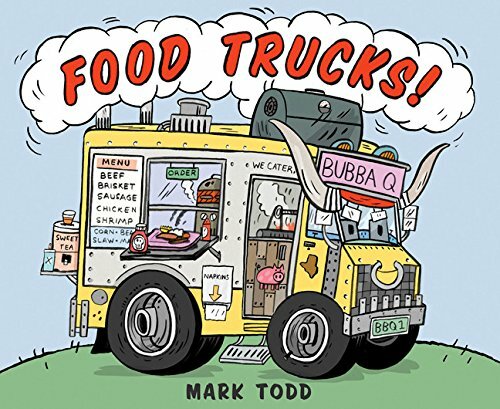 A little rhyming text description about each type of truck is on each page filled with fun, cartoon-ish illustrations, as well as factoids about the various cuisine. Mr. M saw this book on the back of Monster Trucks (another great Mark Todd book) and asked to read it. Caution: you'll be craving every type of food truck fare by the time you finish reading it. And, of course, we've been keeping all of our favourites from our Itsy Bitsy Nimbus Book Club in the mix. You can see the full list, and the activities to go with them by clicking on this link. What books are your kids currently into? We'd love to hear your recommendations too!